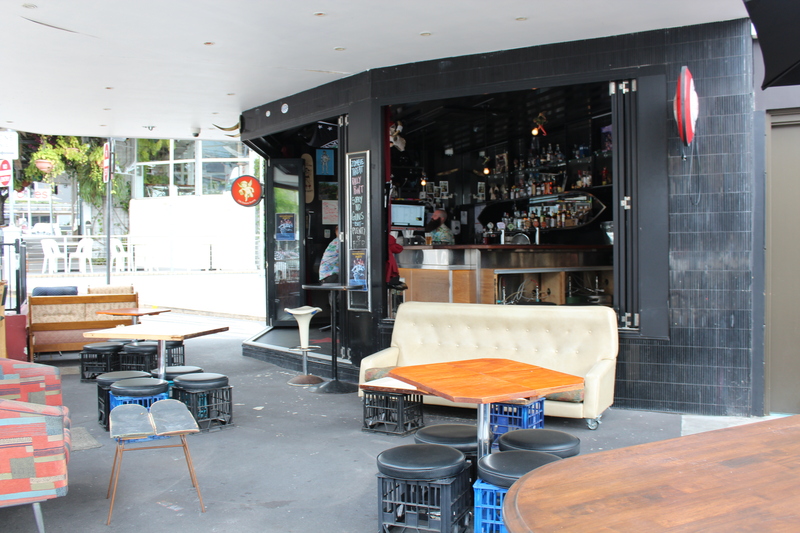 This week, the quirky Cartel Bar on Caxton Street is our destination. 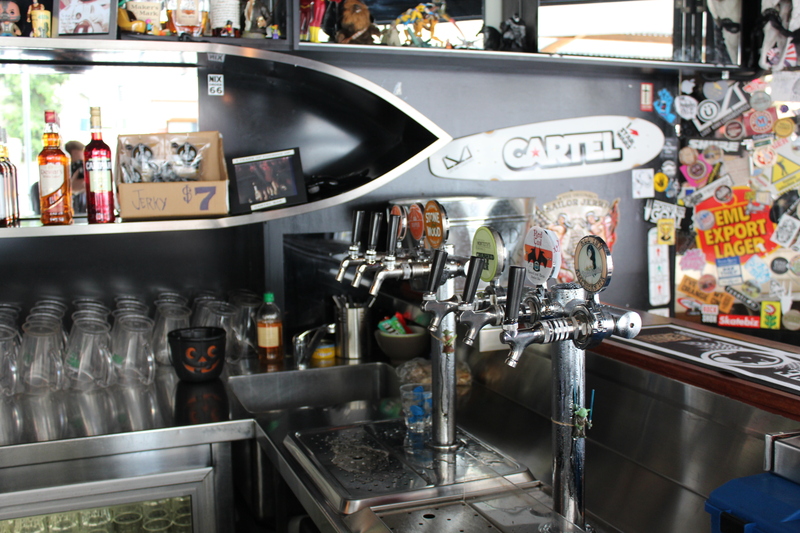 Cartels 6 constantly rotating taps are a who’s who of the local brewing scene. With ace brews from the likes of Fortitude Brewing, All Inn, and Green Beacon, your likely to have to freshest of beer, as Cartel focuses on SEQ flavours (and a bit from Byron, which, lets admit, might as well be Queensland). You won’t find imperial IPA’s or fruity porters here; Cartels focus is on clean, sessionable style beers like Pale Ales and lagers, basically, anything you can come in and have at any point in the day and still enjoy without much effort. One tap is dedicated to Monteith’s Cider. Cartel does not do food, but you have the one and only OZ Kebab right next door! In my backpacker days, this used to be a haunt of mine. If you are looking to eat.. skip it. There’s much better options around. Cartel allows BYOF, so you can grab yourself a nice Thai curry from down the road and munch on it with a refreshing beer. Star Wars, outdoor, dive. 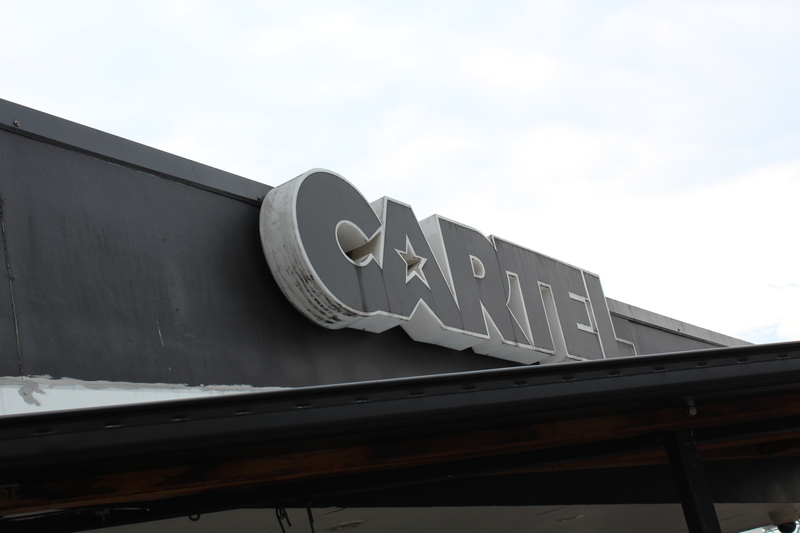 These three descriptive terms is what wraps up Cartel nicely. 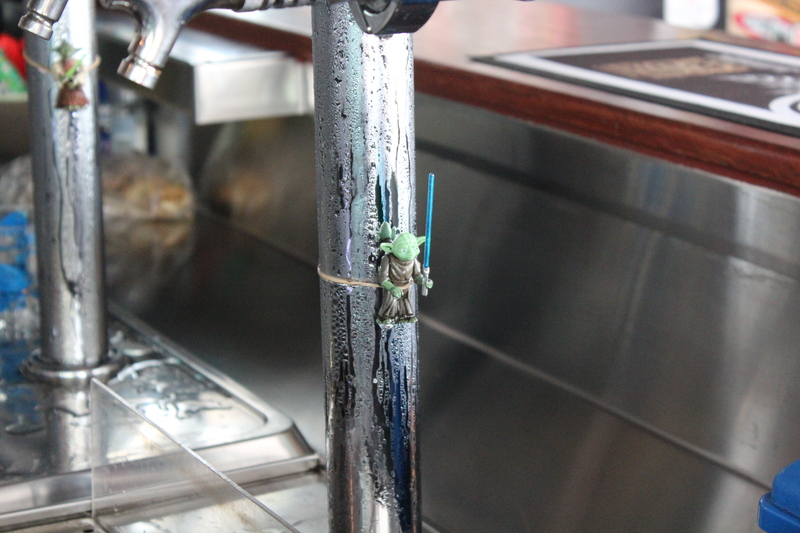 Theirs is a bar that do not take themselves seriously, in a good way. There is no pretentiousness, no fancy snifter glasses, no highback bar stools. If you walked into a dive bar in New York, this is pretty much the feel you’d get. 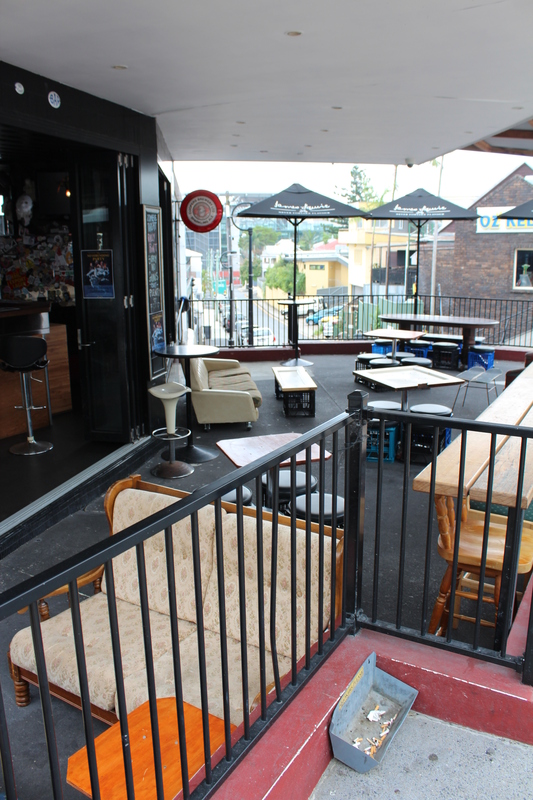 It’s a great place to pop into in the afternoon for a cheeky beer, slip by after work for a few knock off beverages, or to start your night off right with a crisp ale. Noah (who has one of the best beards I’ve seen in a while), is passionate about the beer they sell and is ready to tell you all about it. With their 100 person seating mostly being on an outdoor deck, Cartel is kind of at the whim of the elements, and sometimes will even shut down when it’s lashing down outside, but when it’s nice out, or even semi-nice out, the comfy couches and lounges they have as seating make it the perfect place to people-watch the folks in the Caxton district. 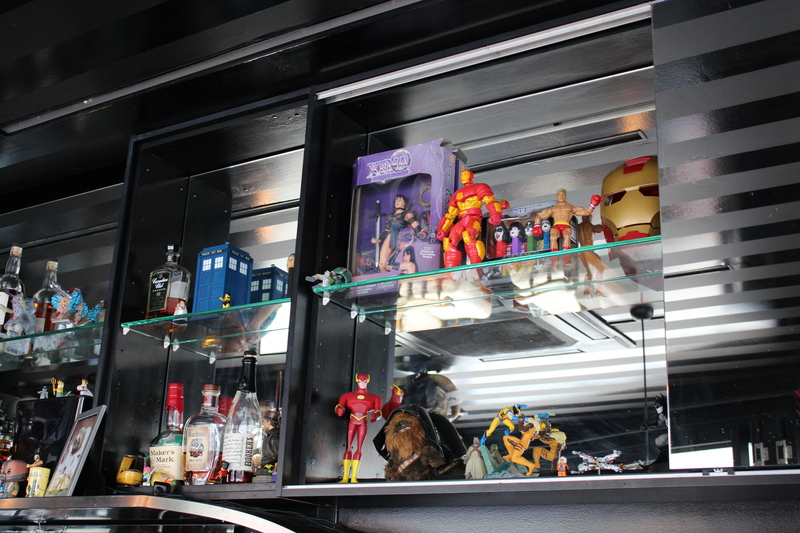 With action figures adorning the walls and Star Wars paraphernalia everywhere, you can see these guys are here to have a good time, and to make sure you do too. Who is the typical punter that comes into Cartel? 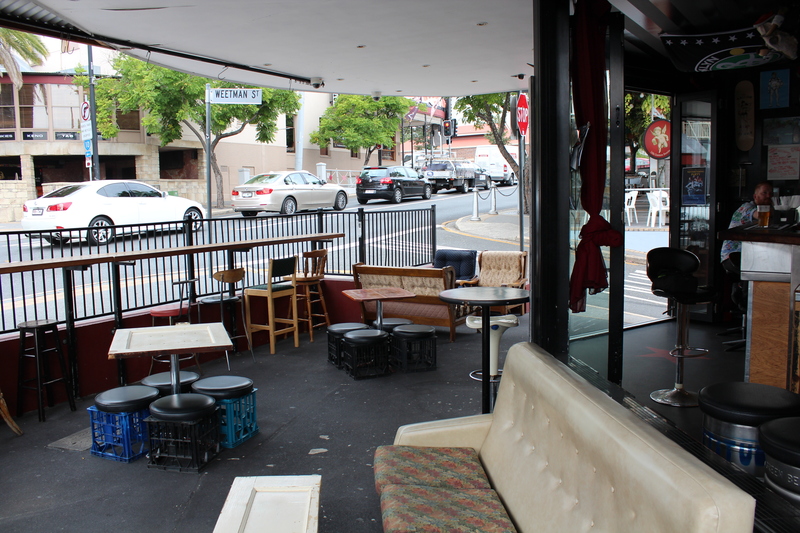 We opened Cartel up because we wanted a really comfortable bar in Paddington where anybody could come and feel welcome. They could chill out, sit on comfy couches, listen to good music, and have great beer. What makes Cartel unique from other beer venues? Although we we sell great beers, we consider ourselves more of an “outdoor dive bar”. Any other interesting facts or stories about Cartel? After 3 months each employee with go through the ancient ritual of the trials of the elders. In this, their naming day, all employees will convene and in a trance like state will speak in tongues. They all throw out new names for the initiate, the one rule is the name must have never been used before. Whence the elders agree on a name(no matter how ridiculous) that’s it… The name sticks. Previous StarTender names include, ChainSaw, RattleSnake, Roun-da-bout, Bread and CrawlSpace! A big thank you to Flynn and Noah for all their assistance!